Our salesman Walix was excellent very friendly great personality and very knowledgeable of the vehicles. He will do all he can to make your buying experience great. Would highly recommend seeing him for your next vehicle purchase . I was looking to either buy my car or lease a new one. The salesperson I worked with, Wallix, was very professional and actually seemed to care about me and what I wanted. Robert Campellone is awesome, he&apos;s an amazing guy who went above and beyond to help with the purchase of my new (used) car. I would recommend anyone I know to see him in the future! Thank you!!! Robert Campellone was an honest & very helpful salesman at Stateline Somerset, i would recommend him and this dealership, the vehicle buying process was great! Over four decades of service to South Shore. Welcome to Stateline Chrysler Jeep Dodge Ram. We proudly provide dependable new, used and certified pre-owned cars, trucks, and SUVs to drivers in Somerset, New Bedford, and the surrounding areas. Check out our selection of dozens of quality vehicles or stop by our service center to get expert-level maintenance and care for your car. As a dealer with lots of different cars, trucks, and SUVs available, you’ll be able to browse everything from SUVs that were made for off-roading to luxury cars. With a selection of new, used, and certified pre-owned vehicles to choose from, our team can help you find the vehicle that matches up with what you want in your next car. Come let our sales staff be your guide or explore our inventory online. Part of providing you with great customer service is being able to help you keep your car in great condition for years to come. We have a team of certified technicians in our service center who can keep you on top of all your routine maintenance jobs like oils changes and state inspections. They’re also highly trained in service like transmission repair. Visit our service center to get an appointment set up quickly. With shuttle service, rentals, Spanish-speaking technicians, and free Wi-Fi in our waiting area, we make getting service easy for you. 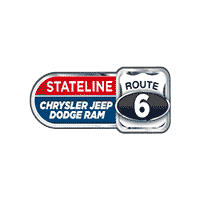 Come visit us at Stateline Chrysler Jeep Dodge Ram to find a large selection of quality new, used, and certified pre-owned vehicles. It is our pleasure to serve drivers in the Somerset and New Bedford community. If you have any questions, contact us to learn more.